Adafruit Holiday Gift Guide 2012 — PCB Making « Adafruit Industries – Makers, hackers, artists, designers and engineers! 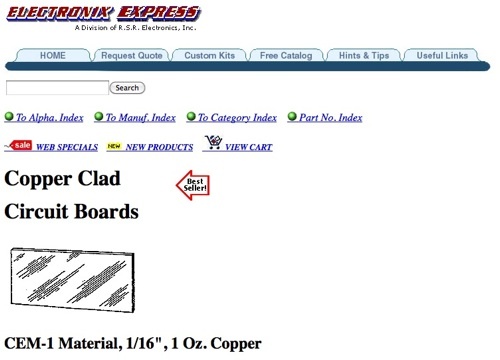 Is there a special person in your life that likes (or wants) to make PCBs? Making your own printed circuit boards is a gift that keeps on giving. Here is a list of our favorite PCB making tools and supplies. 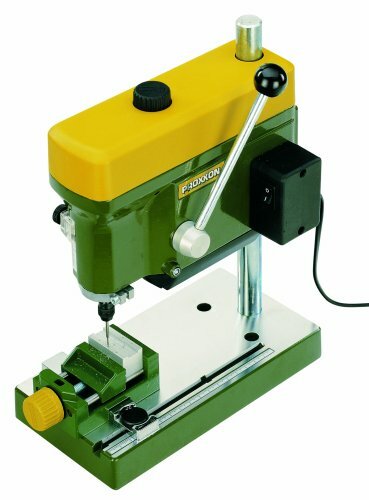 Proxxon 38128 TBM Bench Drill Machine – the ultimate small desktop drilling machine. Use this to drill sharp holes into your PCBs with zero bit wobble. With it’s small size, you can easily tuck it away when not in use. 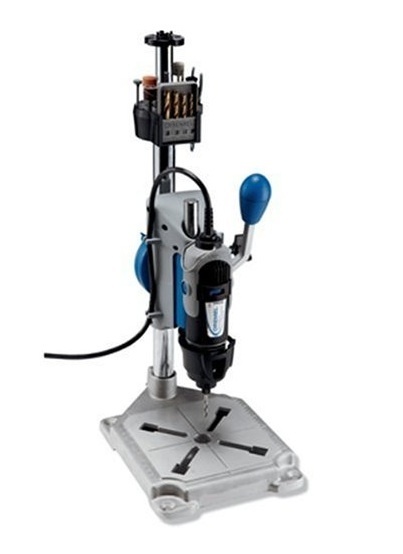 Dremel 220-01 Rotary Tool Work Station – It won’t have even close to the same precision as the Proxxon drill press, but it comes at a fraction of the price. Ideal for crafts, hobbies, metal working, and a variety of around-the-house jobs, the 220-01 Dremel Work Station transforms any Dremel rotary tool into a tabletop drill press. It can be bolted on to your workbench, and it has the versatility to operate as a tool holder, flex shaft holder, and drill press. Dremel 300-1/24 300 Series Variable-Speed Rotary Tool Kit. 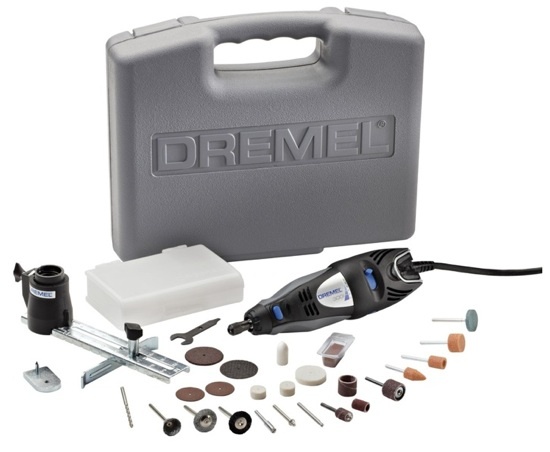 Perfect for the do-it-yourselfer or anyone who is new to rotary tools, the Dremel 300-1/24 Variable-Speed Rotary Kit helps you complete a wide range of household, fine art, and repair projects. The rotary tool itself features an updated design for optimum comfort and control, as well as variable-speed control that allows you to set the speed of the tool to match specific accessories or tasks. The versatile rotary tool comes with a case, 24 accessories, and a circle cutter attachment–so you’re ready to tackle whatever project you dream up next. Drill bit set. You’ll need these for drilling vias and holes. 10pcs of 1.00mm (.0394). These Mirco Drill Bits are made of Tungsten Carbide. The over all length is 1.50″. The shanks have a diameter of .1250 and all have identification rings on them. These are for drilling PCB holes. 5pcs of .50mm (.0197). These Mirco Drill Bits are made of Tungsten Carbide. The over all length is 1.50″. The shanks have a diameter of .1250 and all have identification rings on them. These are for drilling vias. 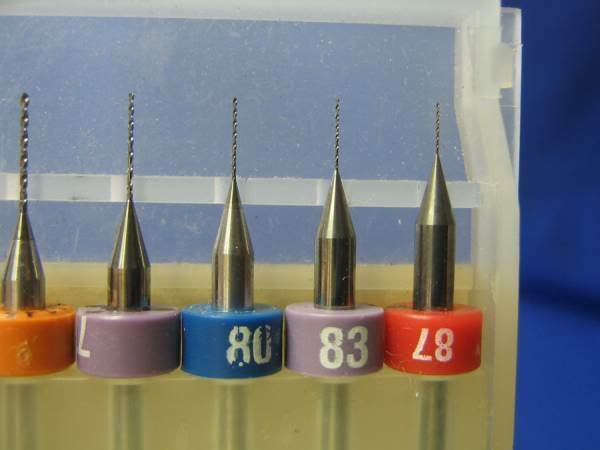 All these Drill Bits are made of Tungsten Carbide and the overall length is 1.50″. The shanks have a diameter of .1250 and all have identification rings on them. An assortment! Press & Peel – Some people like to use magazines or other glossy paper. We kinda just like press-n-peel blue. Others like Pulsar. PCB! Copper clad single sided is good to start – or beginners we suggest CEM which is not as strong as FR4 so its easier to cut and drill. 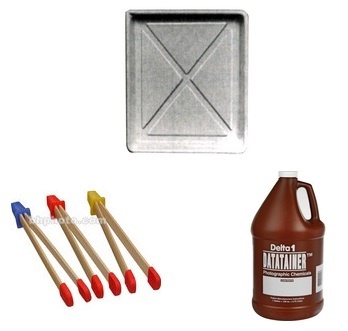 Photo supplies are very good for storage and etching: Developer trays & tongs – pour your etchant into these plastic trays. we have a few we keep around. Use these bamboo tongs to grab stuff in the etchant so you never have to put your hands in bottles.